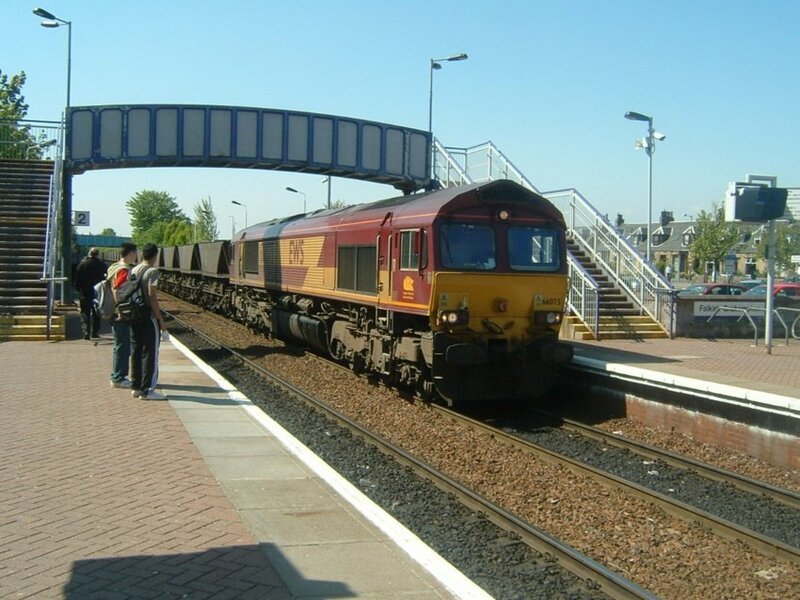 66 075 seen at Falkirk Grahamston. 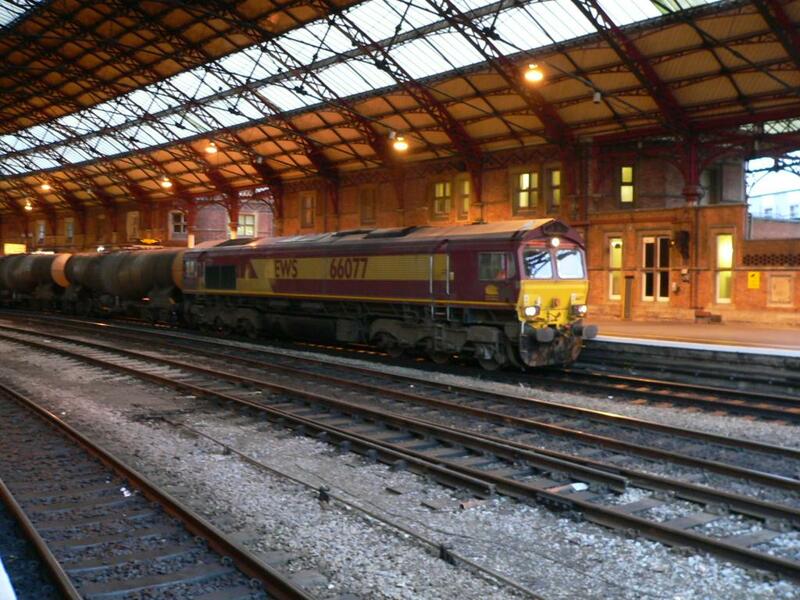 Photo taken by Andrew Reid on Friday, 13th May, 2005. 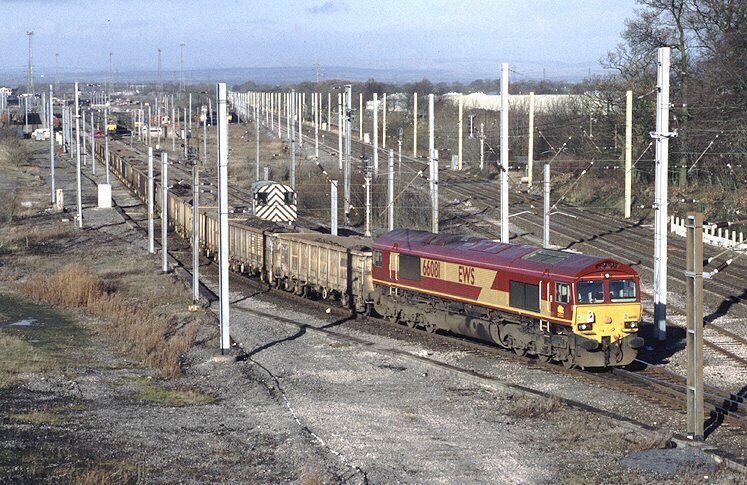 66077 stabled in Millerhill engineers sidings on Sat 17th April 1999. Canon EOS500N, Sigma 28-80mm lense (set at 50mm), lense hood, 1/90th @ F5.6 on Fuji Superia Reala 100 film. 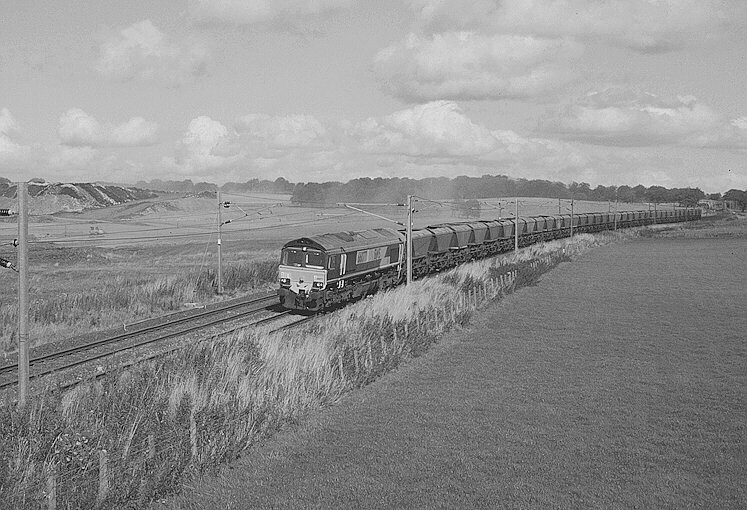 66077 passes through the South Lanarkshire countryside at Auchengray with an unidentified westbound empty coal train on Tuesday 14th September 1999 at 13:07. 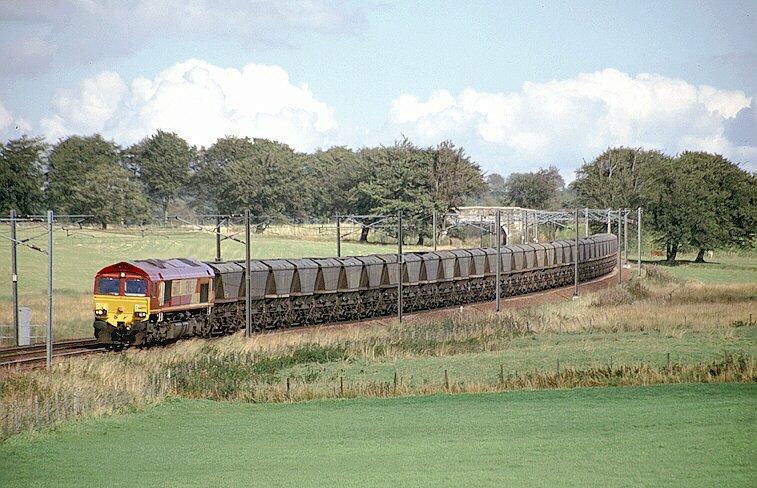 66080 passes Millerhill with an unidentified North/west bound M.G.R (coal) train on saturday 6th November 1999 @ 12:12. 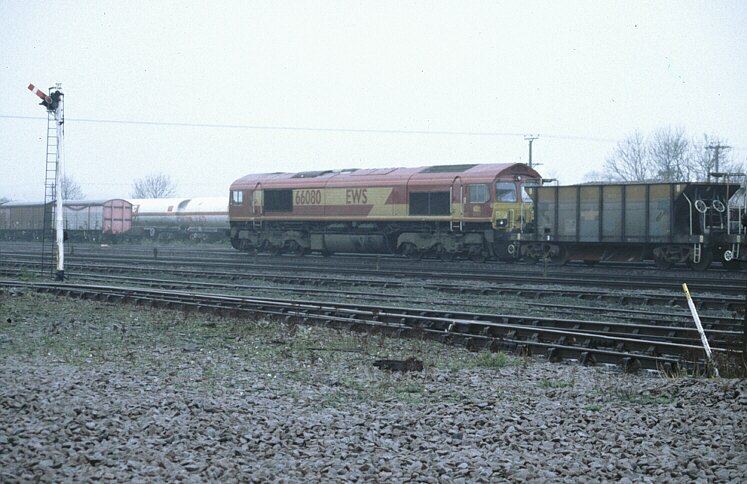 66080 stands at Barnetby in the midst of a downpour while engaged on engineering duties on sunday 14th November 1999. 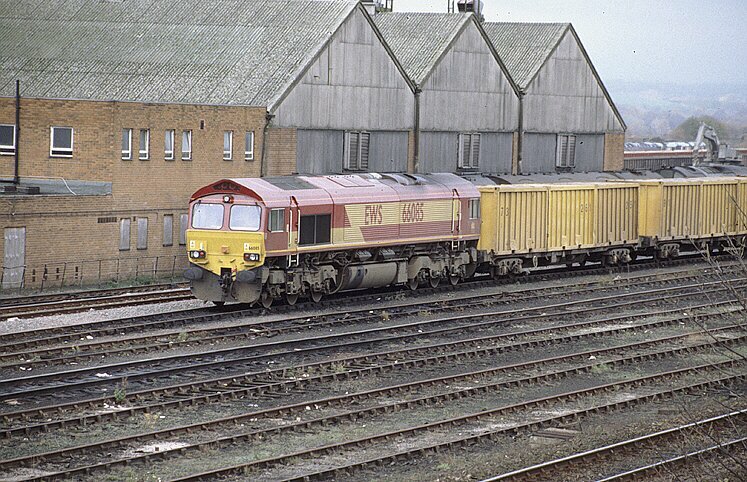 66081 stands at millerhill depot, Edinburgh on Tue 11th May 1999. 66081 arrives at Kingmoor Yard on the rear of a top-n-tailed (with 66121 ) engineers train on Saturday 27th November 1999 @ 11:43. 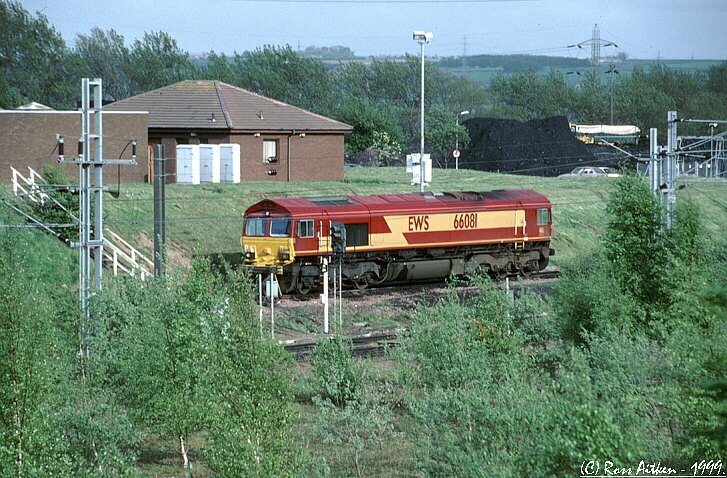 EWS 66082 at Barnetby on 20/09/05. 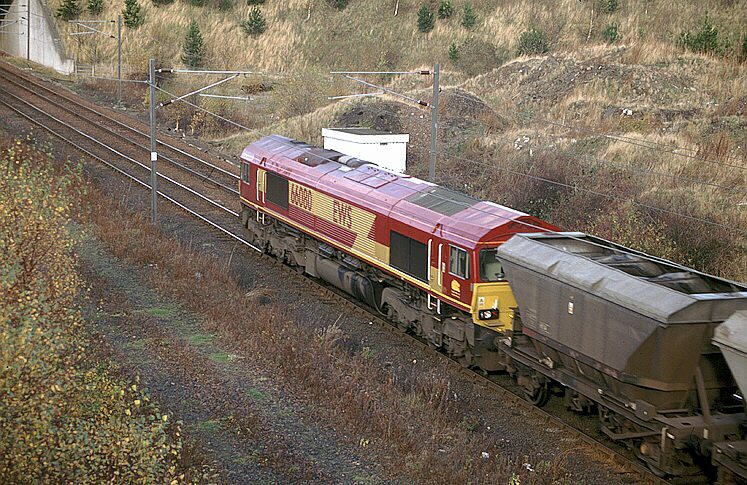 66085 stands at Healey Mills depot on Sunday 14th November 1999 @ 13:26. 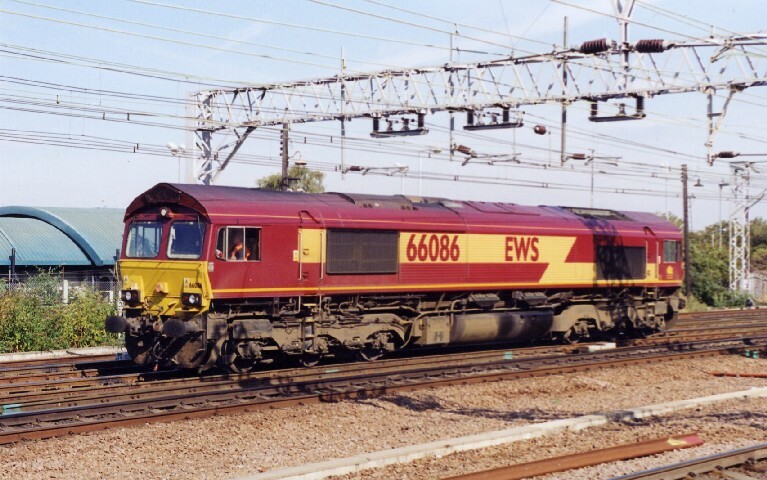 EWS 'Shed' 66086 moves slowly through Stratford on the 25th September 2003. 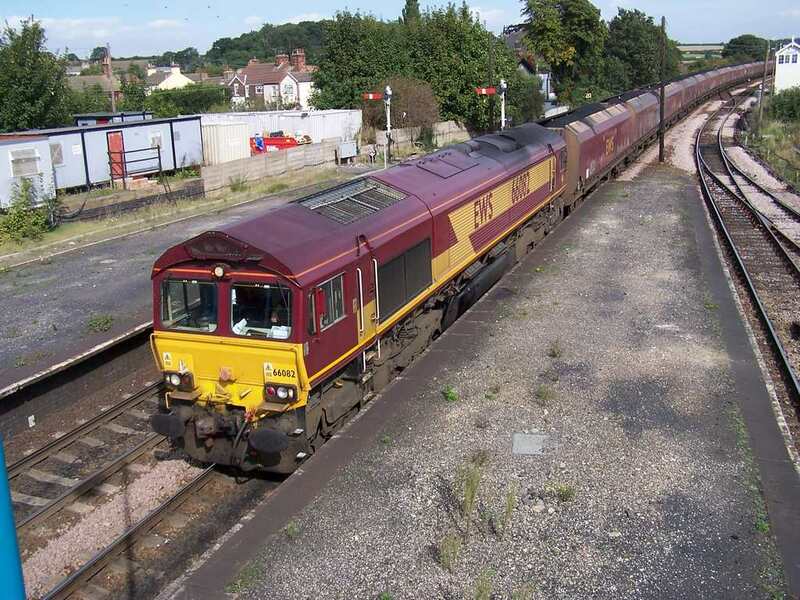 EWS Class 66 diesel locomotive 66076 hauls an eastbound freight train conveying steel girders along the South Wales Main Line east of Newport station. 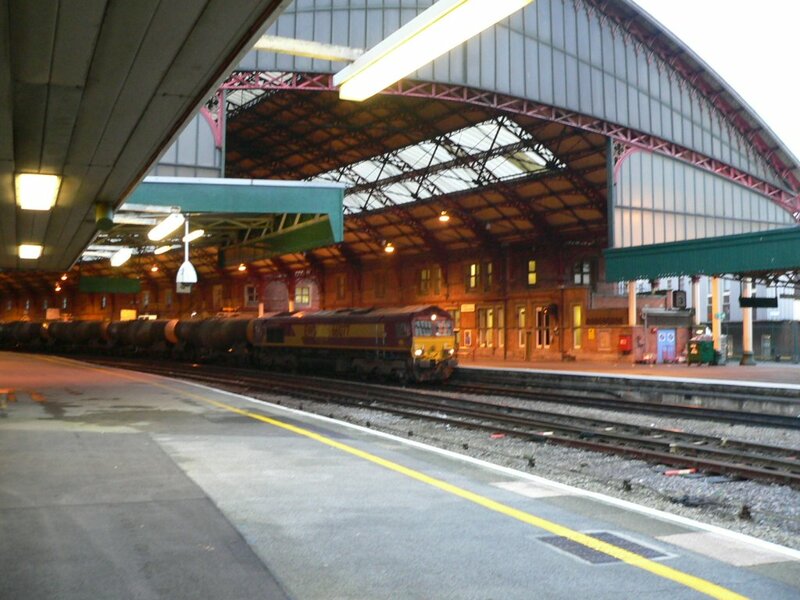 This photograph was taken from the window of a westbound First Great Western HST waiting at a red signal. 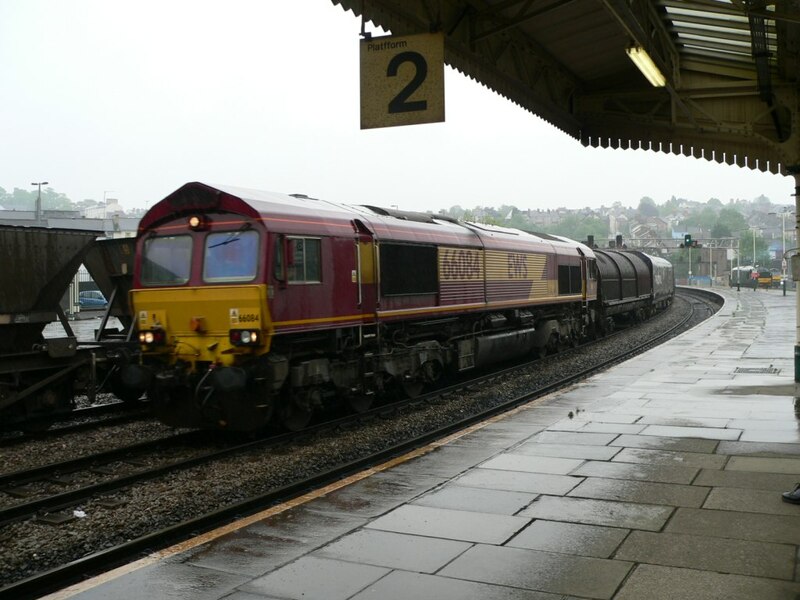 EWS Class 66 diesel locomotive 66084 hauls an eastbound freight train through the pouring rain at Newport station in South Wales. 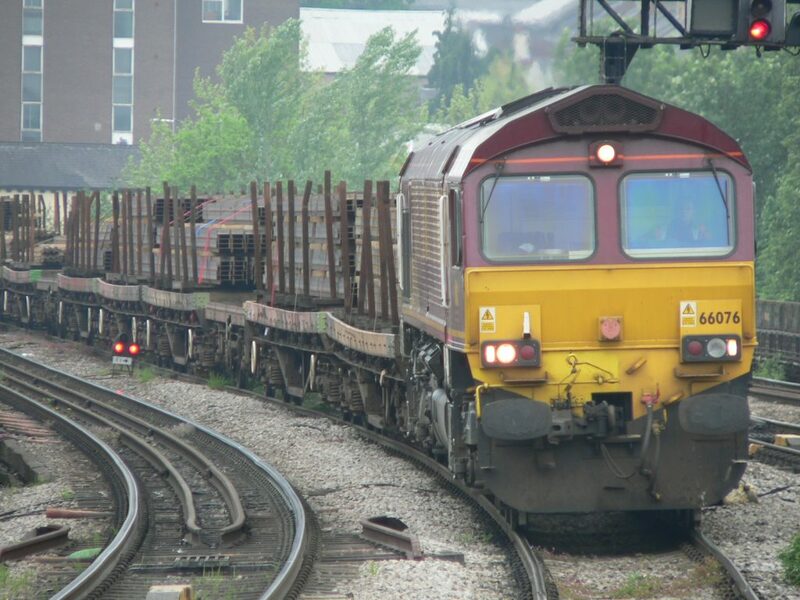 CLass 66 080 seen at Newport running into to the sidings. 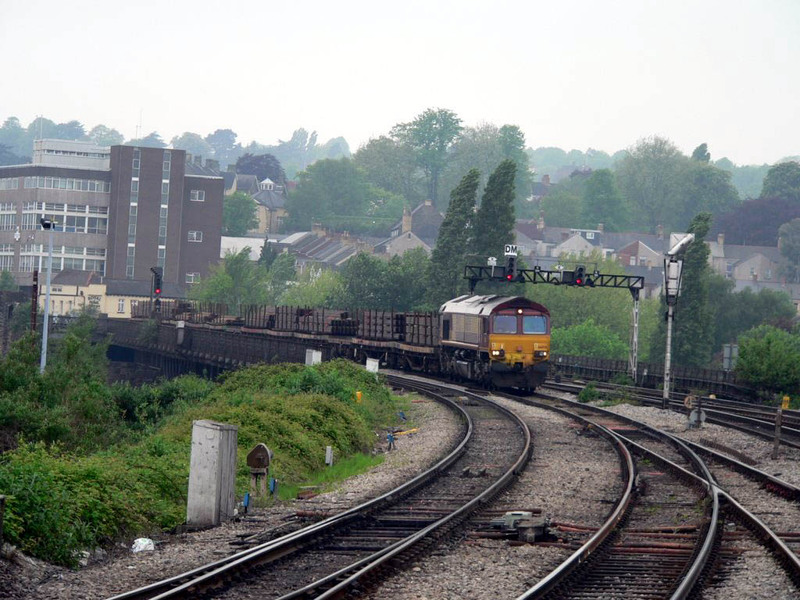 Newport is a very exciting area with masses of freight, variety and plenty of trainspotters at the platform ends! Photographed October 1999. 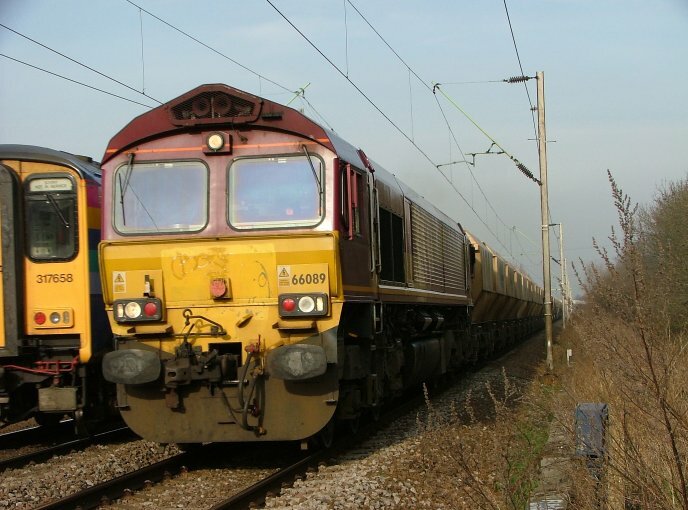 Copyright belongs to Andrew Ducker who can be emailed at ecml@yahoo.co.uk. Hompeage is www.apducker.demon.co.uk Photograph taken on Kodak DC260 Digital Camera. 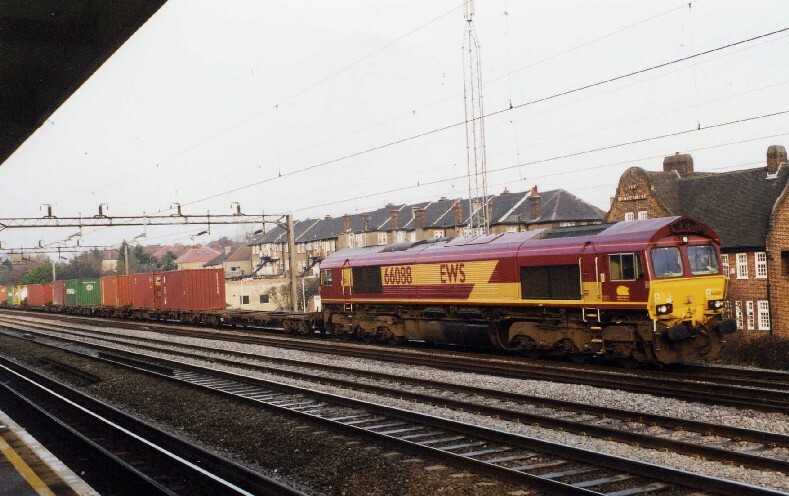 EWS 'Shed' 66089 passes the crossing at Cheshunt with a southbound freight on a bright and chilly January 24th 2006. 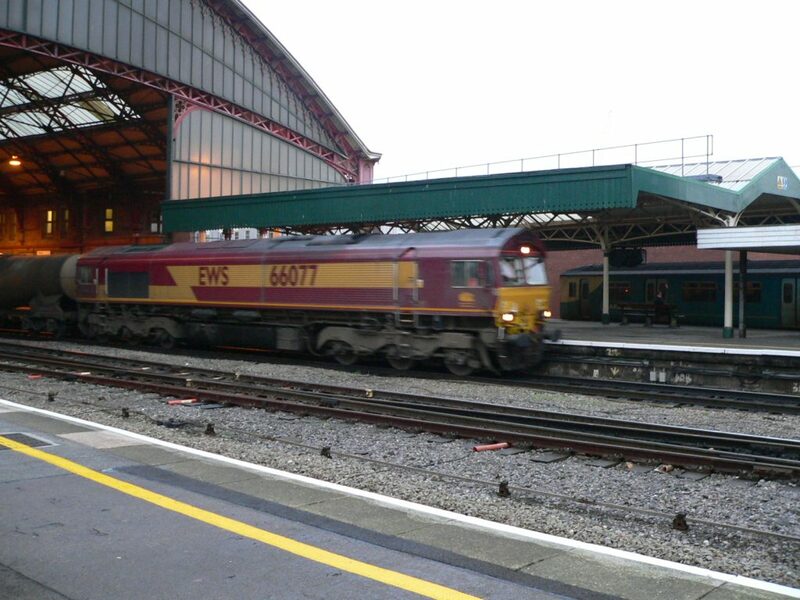 EWS 'shed' 66088 heads towards London through S.Kenton on the 19th December 2003. 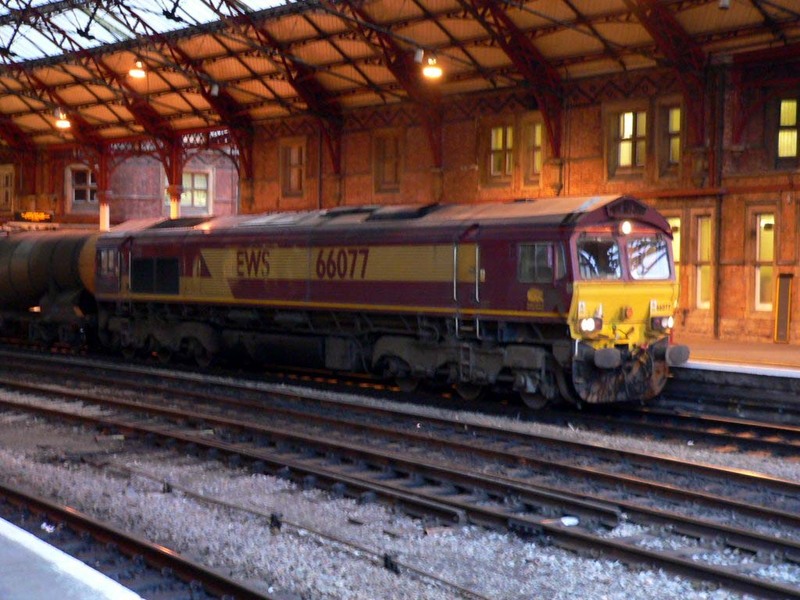 EWS Class 66 diesel locomotive 66077 at platform 3 of Bristol Temple Meads station. HISTORY. 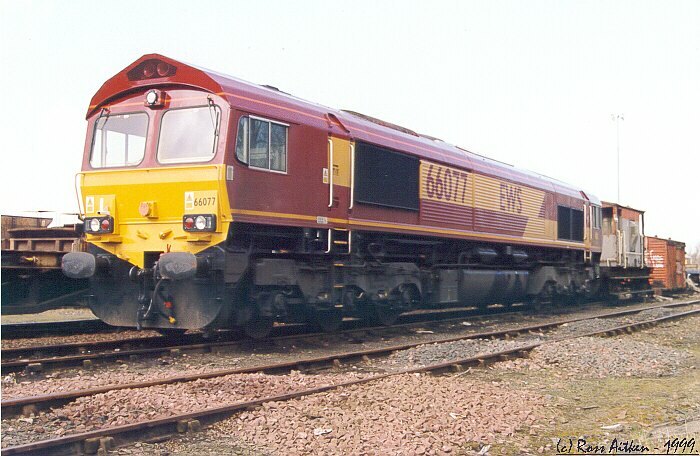 EWS is no longer owned by a Canadian company that appeared to do relatively little to develop GB railfreight but by DB! Hopefully to mark this change DB might consider putting an EWS loco or two into DB livery. 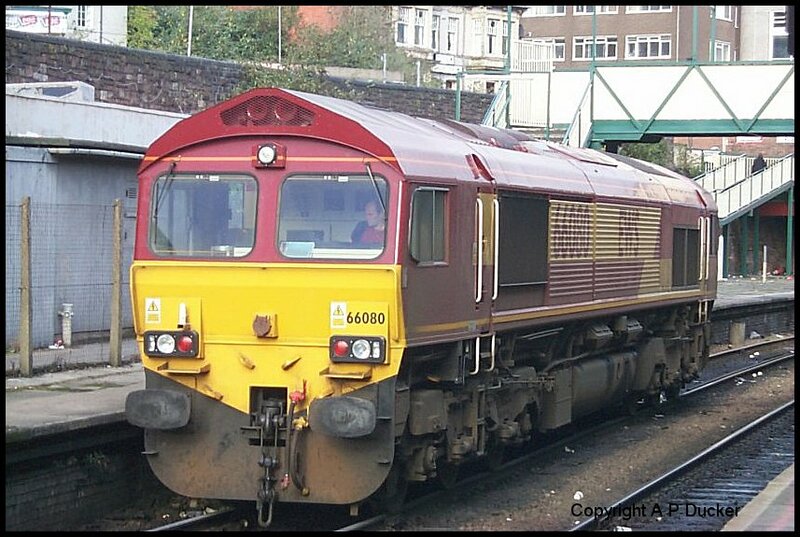 A class 66 could be a start but a class 60 would I think look really good...go on give it some thought please. 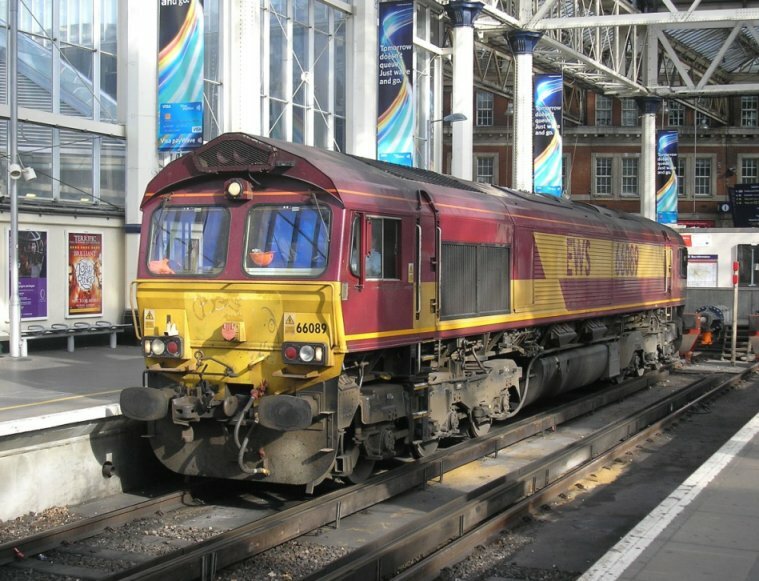 Meanwhile its not often you see a 'shed' at the stops at Waterloo but thats were 66089 was when pictured in September 2007.